If you are looking for the best music downloader than you come to right place. It has become incredibly easy nowadays to find free music files, based on our taste and preference. Incidents of piracy have decreased, as album producers have provided free streaming options for many of their tracks so that internet users do not resort to unsavoury means for listening to their favorite artists or albums. Over the last few years, many free download and streaming apps have been launched and have been withdrawn from the market. But among these many apps, a few have found a permanent list on Google Play store as the best ones available. We will now look at 5 of the best music downloader android apps that can be used for downloading music for free. Read on to find out more. One of the best mp3 music downloader on Android that let you download any number of songs in the format of MP3 on your phones or tablets. The UI of this Simple Mp3 Downloader is as simple as its name. You can search for any song in any genre, album or artist in a single tap and similarly you can download these songs and see them listed in the downloads tab. This music downloading app has gained immense popularity in the last one year, as it is readily available, and provides the option of downloading almost 50000 songs for absolutely no charge. 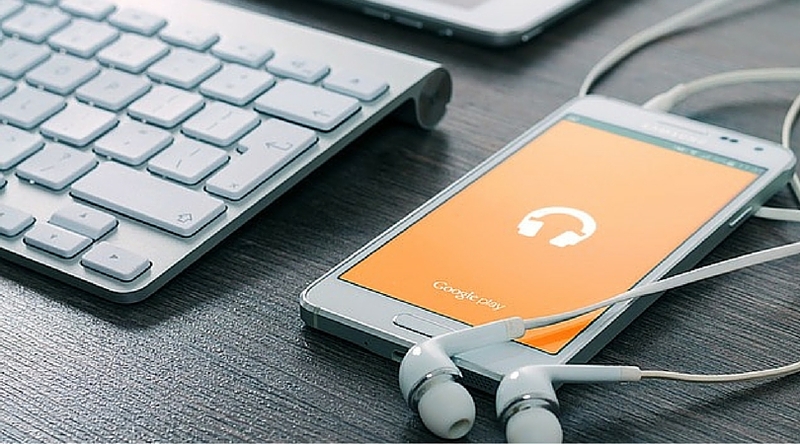 Among all the apps that will be mentioned in this list, Google Play Music is a perfect choice on many levels, namely downloading tracks on your Android device, as well as creating a playlist with tracks that can be streamed live without having to pay anything. You will be able to search, listen and download free mp3 music on any Android device with this android app. Find more than million songs here that you can listen and download easily. Another great feature of this app is to find lyrics of the song and automatic recommendation of the latest and hottest songs on many classifications. This fantastic music downloader has been around in the Android universe for quite a while now, and is known and liked by each and every Android user because of the service the app provides to anyone who downloads and installs it. Deezer is the perfect app for any user who wants to listen to their favorite artists, tracks or albums for no charge whatsoever. The free version offers only music streaming options, but the paid version allows users to download songs on their devices. Music Download Paradise is an excellent app that finds popular music and many more sound effects that can be downloaded easily on any smartphone or tablet. You also have the ringtones, short clips search available in this app. Known all over the Android community as one of the finest music downloader apps available for download, this efficient radio app is a life saver for each and every music lover out there. The app provides music based on your preset taste and preference, as well as giving you access to specific radio stations based on the area in which you are in. Besides music, you can access talk radio, comedy shows and podcasts with iHeartRadio. The UI is Material Design and modern and supports services like Android Auto, Android Wear, and Chromecast. One of the best mp3 downloader app for android that allow you to search songs that you can download and listen within “free to use” license. The interface is easy and you will start enjoying it when you use it. The procedure is simple and you just need to enter the search term and hit the download tab, where you will find all the songs available to download. For the last few years, people have been loyal users of Pandora owing to its dynamic music streaming service. The UI is quite simple and easy to use for even amateur users. The user only has to open the app, and he or she will be welcomed into a world of music at absolutely no cost. Pandora, as a music downloader, has won the hearts of millions by partnering up with Virgin Mobile and T-Mobile for providing offline streaming and free app data options. Music MP3 Download CopyLeft is another super duper music downloader Android app that allow you to download any song that you like. With a great internet connection and a zest of download songs you will find this app to be the perfect partner for your Android device. It let’s you download all kind of music that is under creative commons license and believe me the music is great. Jango is perfect for any listener who not only listens to the big artists but also has a taste for independent artists, who want to make a name for themselves. These indies can upload their tracks on this app for the whole world to listen to. Jango does not charge the user anything because it costs the artist on a per play basis. Its a powerful Mp3 downloader that can quickly help you in downloading hundreds of songs to your Android phone or tablet. Is your favorite Android app for music downloads is in the list? Do let us know your favorites.